Android news and all the bytes Charger Cryovex Fast Charge Fast charging nomad Portable charger powerbank Powerpack type-c Ultra Rugged USB-C 9000 mAh POWERPACK from NOMAD is ultra-rugged and ready for you! 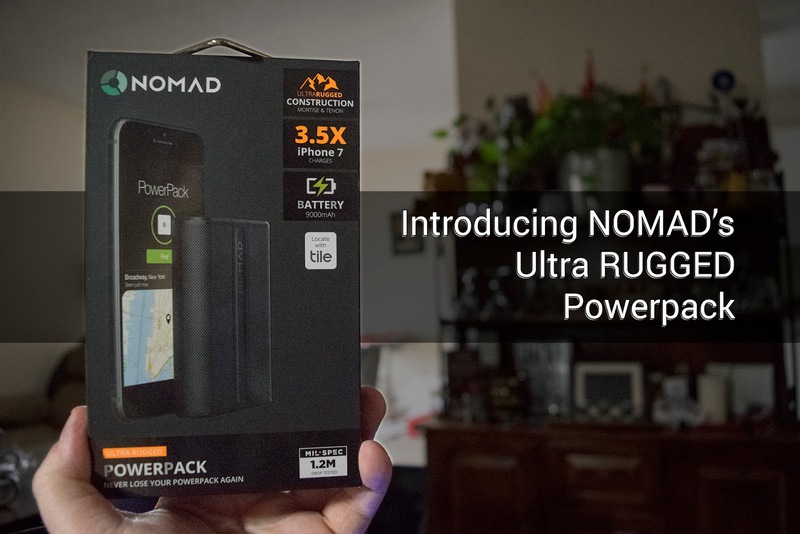 9000 mAh POWERPACK from NOMAD is ultra-rugged and ready for you! 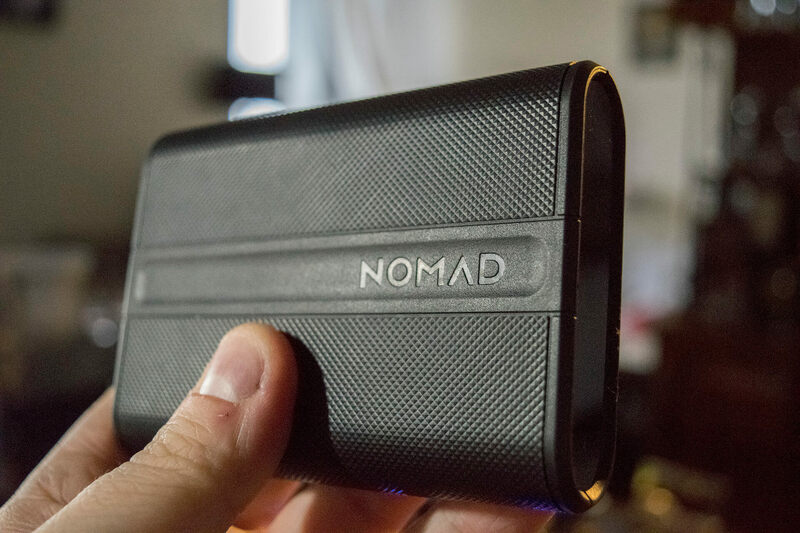 Keeping in tradition with all their products, NOMAD went beyond the standard that most people would expect from a portable battery charger. With a 9000 mAh POWERPACK, that’s ultra rugged and ready for you, NOMAD wants to make sure you know you can go places. 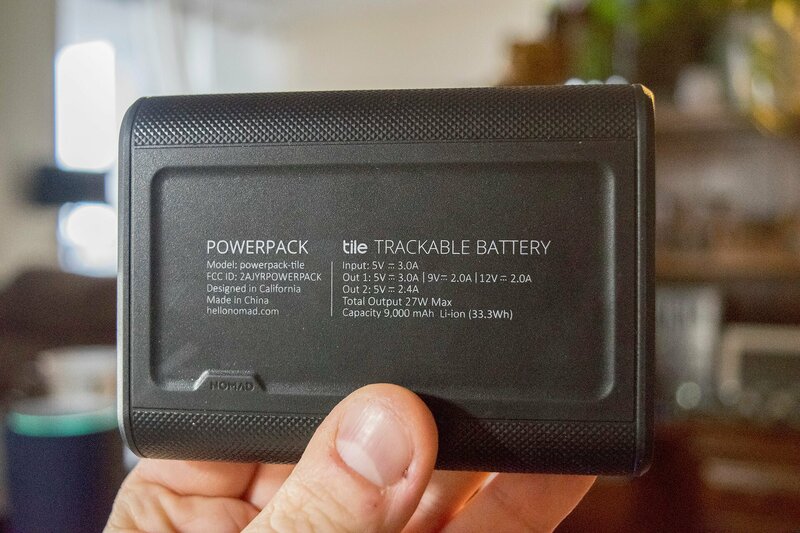 You’ll get my personal input at the end of the article where I will break down how I use it, why I’d use it above any other devices and get a glimpse into the lifelong friendship you can make with this ultra-rugged powerpack from NOMAD. Let’s explore what the powerpack offers and this starts with its concept; Building the most advanced portable battery. The ultra-rugged design is based on mortise and tenon and wrapping everything in over-molded rubber for a 1.2-meter drop protection. Keeping in-line with providing the most power possible, we are introduced to Panasonic Li-ION cells for the best charging experience. 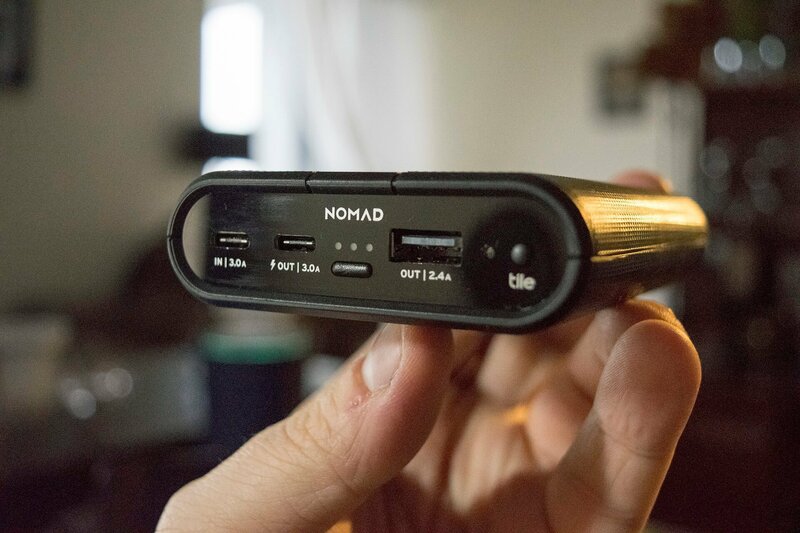 The devices feature all the new tech you’d come to expect from NOMAD; USB Type-C and Fast charging. When it comes to fast charge this is what you can expect: 3.0A/5V, 2.0A/9V & 2.0A/12V. You’ll also be able to enjoy pass-through charging in the event you need the convenience of leaving your device to it capable self. The “tile” feature introduced in this design allows you the ability to track your powerpack via the Bluetooth Tile network app. Which you can find more information on at Tilefaq on the NOMAD site. Are you a city slicker? Do you travel? Do you go to the country? The Beach? Camping? Run around crazy on bad days? Then this is the portable battery charger you need. You get 9K of power to charge your device up to 3 times in most cases and more depending on the size of your device’s battery. The rugged nature of the portable battery charger allows is to be dropped, banged, lost, whatever the reason. Fast charging is also part of almost all smartphone being produced on the market and having a powerpack like NOMAD‘s allows you to get topped up quickly and effectively. You’d almost never need to bring a wall charger with you for any reason as long as you keep this puppy charged. Like all of you out there, I travel, work, go camping and sometimes I have no clue where in the world I’ll end up. There are a few instances where power isn’t readily available and just jamming this in my back pocket is the best thing ever. Here’s the kicker, this device isn’t cheap folks. You are looking at spending $133.13 CAD, however, you are getting a very good product with a really good warranty and guaranty. You don’t get that from many manufacturers in this area. Also, customer service is number one for many and then the product. Visit NOMAD‘s website to see all their latest! Interested in following me through my tech journey? You can also check me out @ Android news and all the bytes.